The BP oil disaster of 2010 began on April 20 of that year in the Gulf of Mexico: following the explosion and sinking of the Deepwater Horizon oil rig, a sea-floor oil gusher flowed for 87 days until it was capped on July 15, 2010. Eleven people went missing and were never found and it is considered the largest accidental marine oil spill in the history of the petroleum industry. 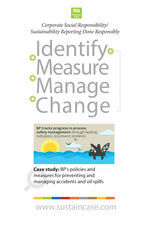 The cover of BP’s 2010 GRI- based CSR report has a picture of the oil spill in the Mexican Gulf. 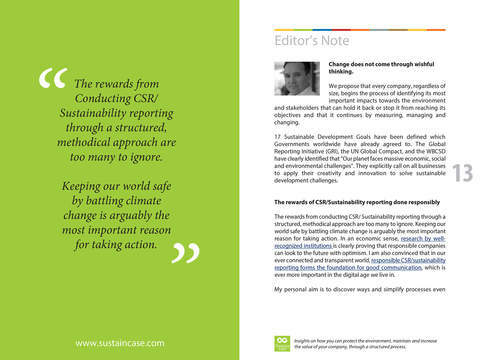 In the report, BP emphasizes how it is striving to earn back the trust that was lost by making substantial changes to the way it works. 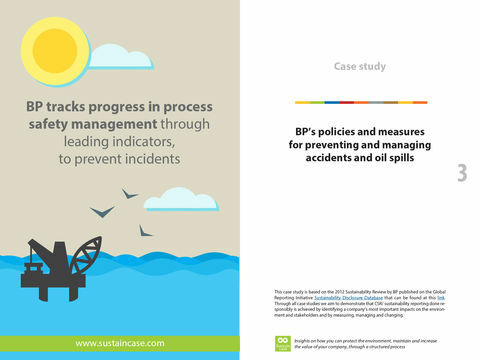 In the aftermath of the Deepwater Horizon oil spill, BP implements a comprehensive programme to strengthen safety, risk management and compliance across the company, working to prevent, mitigate and ensure its preparedness to respond to accidents and spills across its operations. 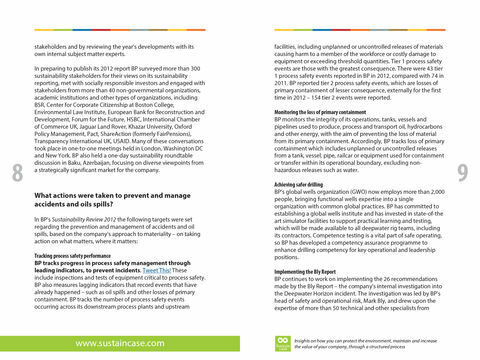 Following the accident, a range of measures were taken by BP to reduce the risk of accidents and oil spills, including, among others, implementing the Bly Report (the company’s internal investigation into the Deepwater Horizon incident), indicators to help BP track its progress in process safety management, monitoring the loss of primary containment and measures for achieving safer drilling and safety in the Downstream business.